John Powell originally trained as a primary school teacher and taught for four years before he went to the University of Bristol to complete an Honours degree in Philosophy. After graduating in 1959 he got a junior lectureship in the Education department at Trinity College, Dublin. John left Trinity College for a scholarship in the Philosophy department at the Australian National University where Perc Partridge supervised his PhD on the philosophy of higher education. He took a lectureship in Philosophy of Education at University of Manchester after graduating in 1966 and was at Manchester for three years. John left Manchester in 1969 to work in Papua New Guinea after his future wife, Jocelyn, drew attention to a position in the Education department in the University of Papua New Guinea. In 1974 John went to the Tertiary Education Research Centre at the University of New South Wales as an Assistant Director, later becoming the Centre’s Acting Director when Fred Katz died in a swimming accident. 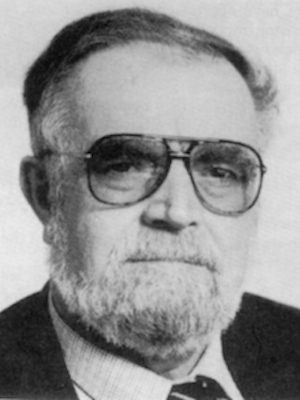 John Powell retired as Director of the Centre in 1988. Upon retiring early (thankfully) from UNSW in 1988 John had established a so far unbroken record as Acting Director of the Tertiary Education Research Centre. He has taught in a wide variety of institutions: Sunday School (three hours only), army education, The College of the Sea, primary school, technical college and five universities. His career provides a case study in re-training both on and between jobs. Originally trained to teach English and Horticulture he subsequently taught Irish educational history, experimental psychology, philosophy, sociology, comparative education and staff development programmes.